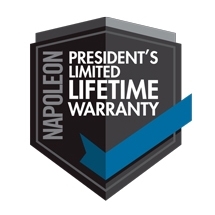 The Napoleon Prestige P500 offers a JETFIRE ignition system and stainless steel wave cooking grids that keep up with your performance needs. This streamline model is equipped for family style cooking; with 760 sq. inches total cooking surface you can cook for whoever, whenever. This grill will look and work great now, and for many years to come.